Do you have a favorite boy? If so, Will you pursue that boy? Our beautiful princess meets a handsome boy at the same time. 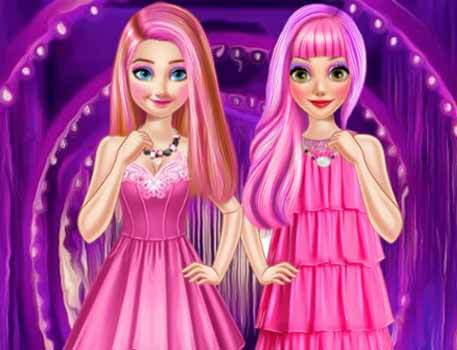 Help them wear a nice makeup, then choose some fashion dress and accessories for them. Who will win the heart of him? Let's wait and see! Enjoy Rapunzel And Belle Love Crush!